This feels more like a simulator than a game but don’t let that lead you to think that there is no entertainment. Train your pet to be an obedient pal with the power of friendship.You can cater to the dog’s or cat’s needs or spoil them to increase your bond. You can become an effective trainer to teach them tricks and even compete in shows. Be sure to correct behaviors and stop any bad habits as soon as they crop up. Each pet has its own personality no matter what choice. Randomized characteristics can be chosen to give a bit of unpredictability gives you a life-like experience. The pets also differ in preference of food types and textures which can make feeding time a challenge as well. All this variety has me seeing temperament coming into play and challenging the pets’ development. I was able to witness a dog barking and misbehaving prompting an option to call to it and correct it. I can only imagine if habits form based upon the follow up or the lack thereof these behaviors. That’s real life stuff. 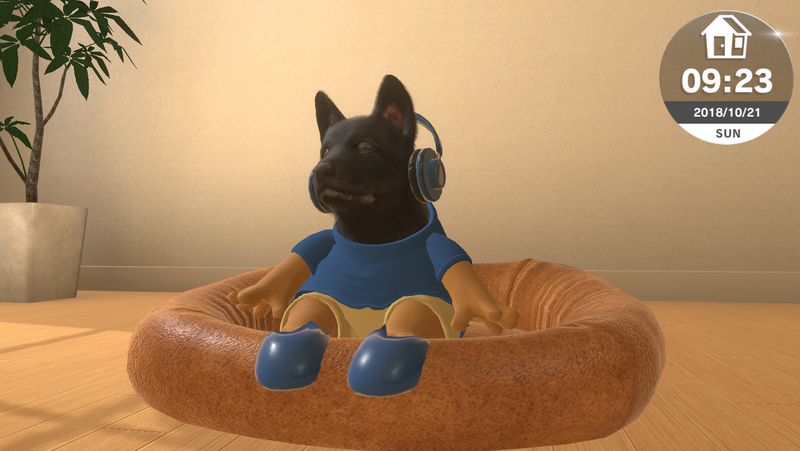 During the in-booth demo, you were allowed first to choose a dog or cat and name it. 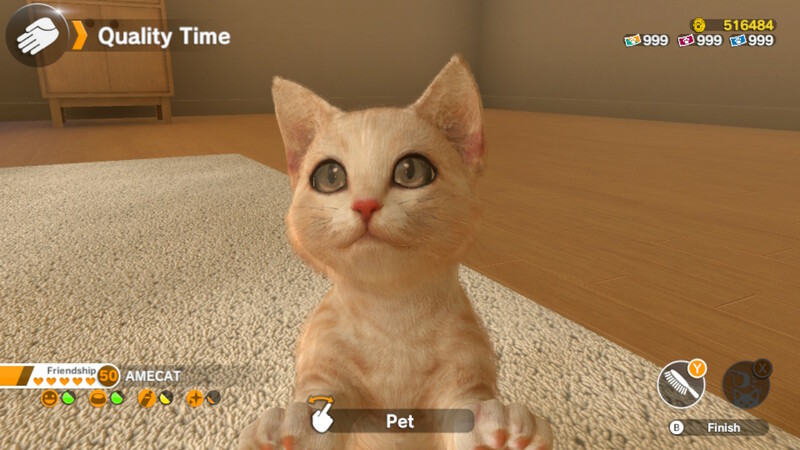 Although this is a game it was still difficult to choose a pet with all their cute faces staring back at you. After choosing, you can brush\pet your dog or cat, feed it, and get it all dressed up. Sounds realistic; pretty much all I do with my dog. The demo kind of leaves you wanting more. There were many more options and activities that were offered on screen but they weren’t available on the demo. So you’re kinda just stuck petting and feeding the dog\cat for now. 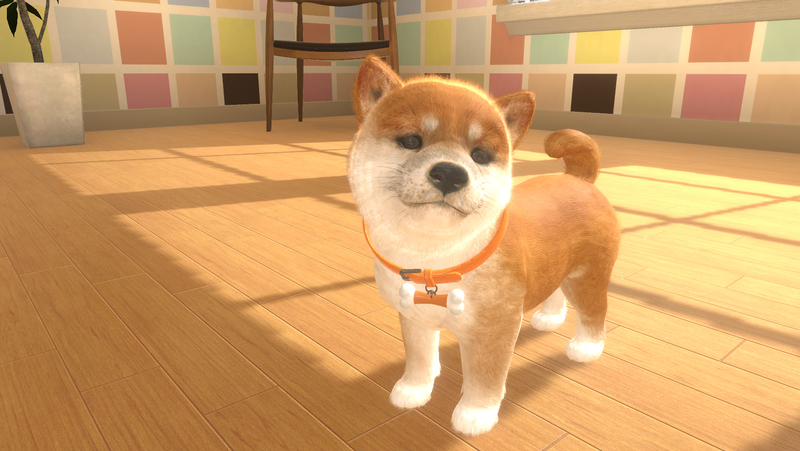 It’s a cute game for the Switch which brings back the excitement of Nintendogs. I never got to play those titles before but now that I am a dog owner I am curious on the accuracy of the game especially when there were other activities that weren’t available just yet. The devs in the PAX booth touched my heart when they considered the game to be great for those kids who can’t have a dog or cat due to allergies, money or location (I know tear jerker). Having pets can teach and improve management and responsibility skills when done correctly which are important life skills. 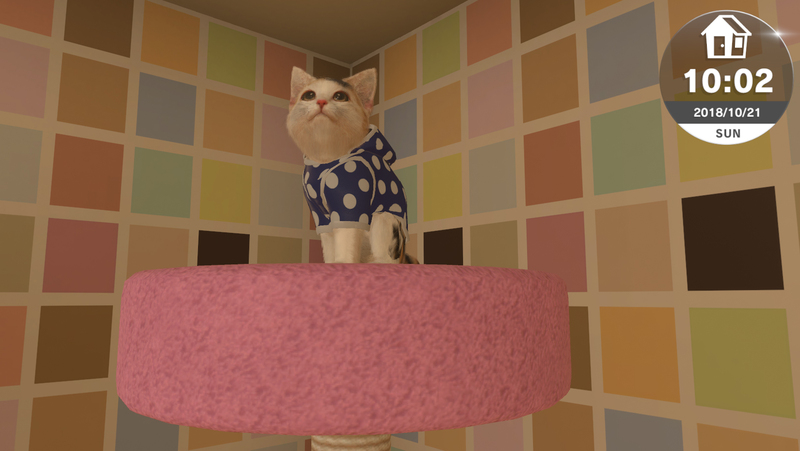 If this game gets everything right about pet ownership, it would definitely be great as an alternative to having a dog or cat in real life. No dealing with pet hair, allergies, expensive chewed up items, healthcare, fleas & ticks, endless spending on food, treats, and toys. I won’t continue to let my brain wander in a tangent. Game or simulator; it doesn’t matter. Little Friends is made for enjoyment and it succeeds. I will say it does increase the desire to drop everything and go to a shelter to adopt a new friend. The demo we got to play was very limited in what was being showcased. The build we were playing was limited to only dress, feed, and care for your pet. However, there were additional options available just locked out. When playing the game I wish they had included these options because they were playing a video at the booth which showed off these features, and not being able to recreate that in the demo made my gameplay feel incomplete. Overall the game does seem promising, special for those with allergies or those who are just unable to have pets in their residence. 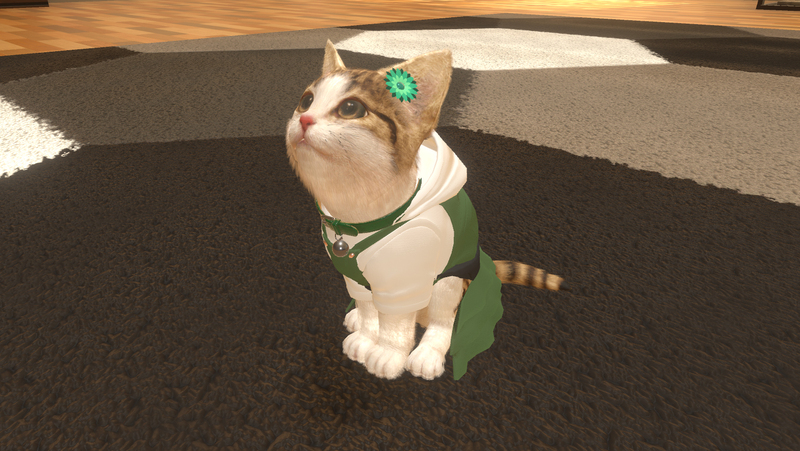 There are 6 available dog breeds, as well as 3 cat breeds at launch. 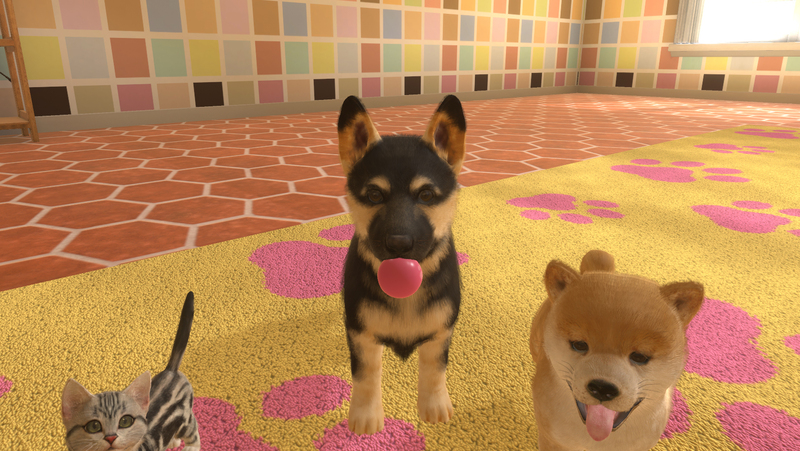 You’ll be able to play with them, get to know them, their favorite foods, each pet features hundreds of lifelike personality traits so each pet will be different. There are also over 600 accessories to dress them up and take screenshots of their new look to share with your friends.